The Membership is a TWO part process. 2. You must PAY for your membership by clicking on the SHOP under the Membership type that you are selecting. 3. You will receive confirmation from the club secretary that your membership was received giving you additional details about the club and membership access to other areas. 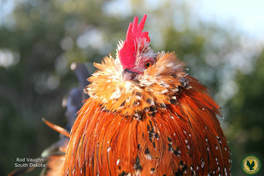 Farm/Business Memberships: The Club offers a Farm Name or Business Name Membership to any Farm/business who is a breeder of Belgian d'Uccles or Booted Bantams. This membership includes only one email for the membership. For awards clarification the group listed as a Farm or Business Membership shall only show under that name and not the name of an Individual member. (Examples: Deep Shadow Ranch, The Smith Family, etc.) Farm/Businesses may not show in the Junior shows. Individual Membership is for any individual 19 years old and over.